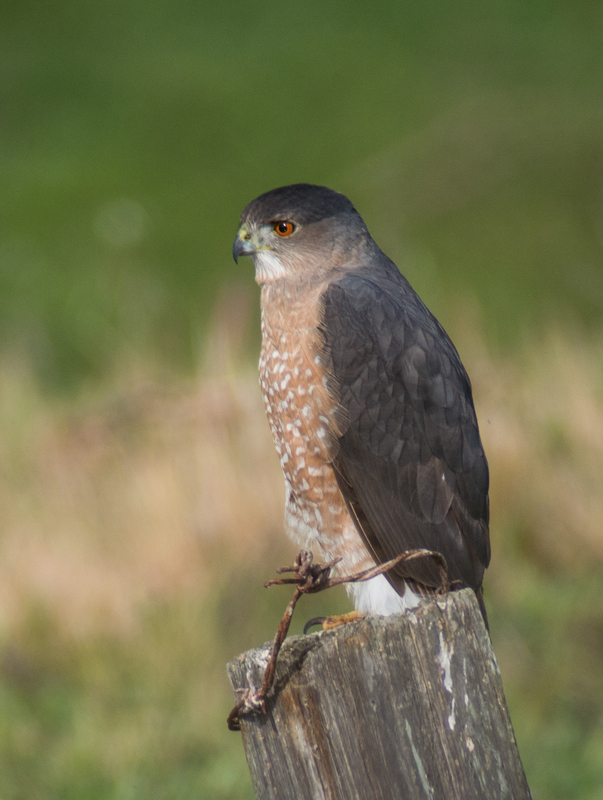 Adult Cooper's Hawk. Identification of accipters is sometimes inexact, but the head appears large,a Cooper's Hawk over the similar Sharp-shinned Hawk. Cooper's will oftenperch and hunt inthe open, as here, whereas Sharp-shinned Hawks favor more wooded areas.